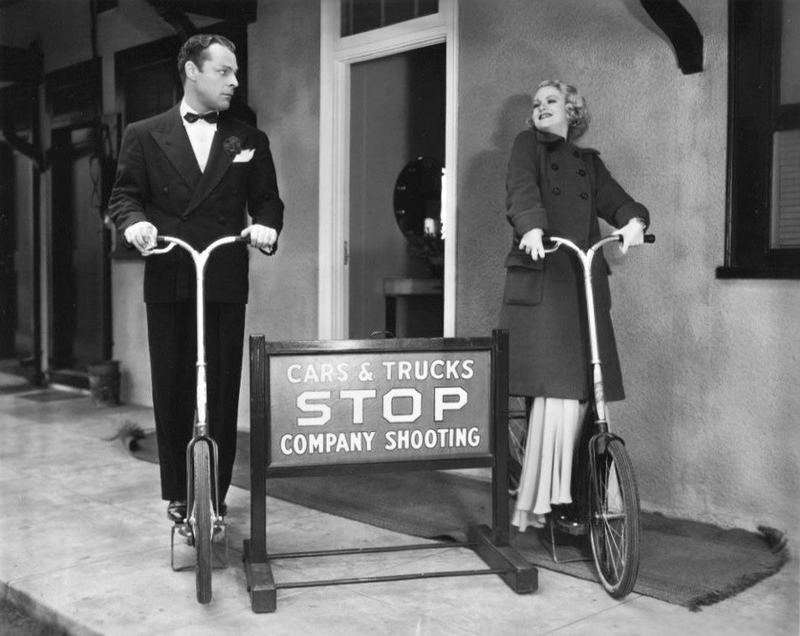 Brian Donlevy and Claire Trevor ride Ingo-Bikes. Brian Donlevy and Claire Trevor, teamed on 1936’s Human Cargo, take a ride on Ingo-Bikes, matching “rhythm” bicycles that were all the rage for about three years in the mid-’30s. Bounce a bit on the platform board and it propels the bicycle forward. Also know as eccentric-hub scooters. Donlevy and Trevor are rival reporters chasing down an illegal alien smuggling ring in the Allan Dwan-directed Twentieth Century Fox release.